We will serve HAPPY SUSHI ROLL! Ehoumaki (Happy sushi roll) is seasonal ceremony in Japan. People eat a sushi roll with keeping silence and look torward to Ehou (Direction of God) for lucky. It looks are strange but popular event now. 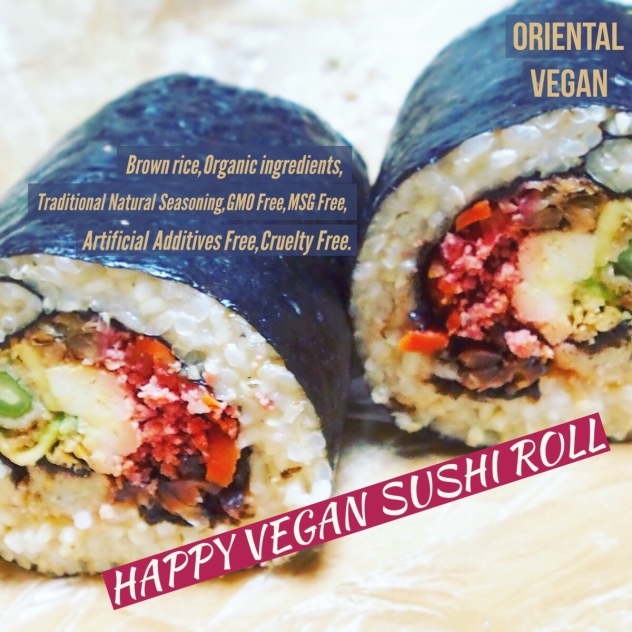 We make really tasty and healthy vegan sushi roll. This is basic type include 7 filling. This is special edition. Seven luck + homemade vegan eel. We will serve a limited number on Jan. 19th – Feb. 2nd. You can take for here and to go. We can put out Wasabi.